The architecture of the Open-Air Museum, there is a strange slit. Slit rather than a light window for creating a beautiful architectural space captures the light seemed to such things as bookmarks within the book. And building the world that has been closed to the outside by the wall or the floor, by the bookmark and the outside world, it is to marking connection, the presence there.Decomposition some of the wall for the exhibition towards the light of the slit of dim light, reconfigure. The wall, it will block the natural light of the slit is a marking of the outside world, creating a gradually darkness. 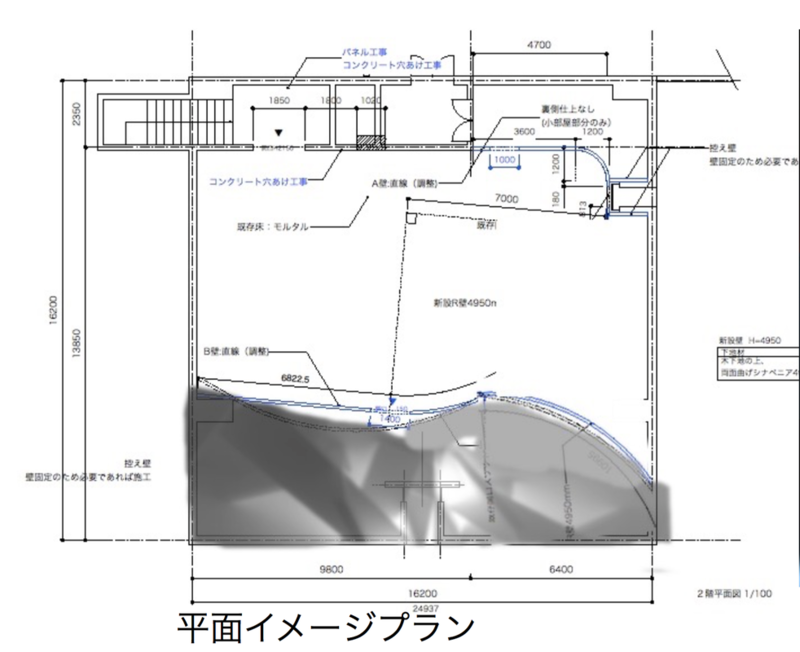 On the wall, it will be projected by the projector an image of the light of the research was the sun in Hakone. Image projected on a wall, in Hakone field, it is something like a bookmark that I caught.